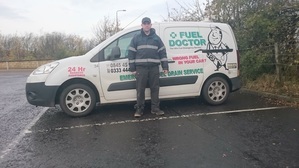 Edinburgh Fuel Doctors provide a full mobile fuel drain to every location around Edinburgh, if you have put the wrong fuel in your car in Edinburgh - Call us today! . 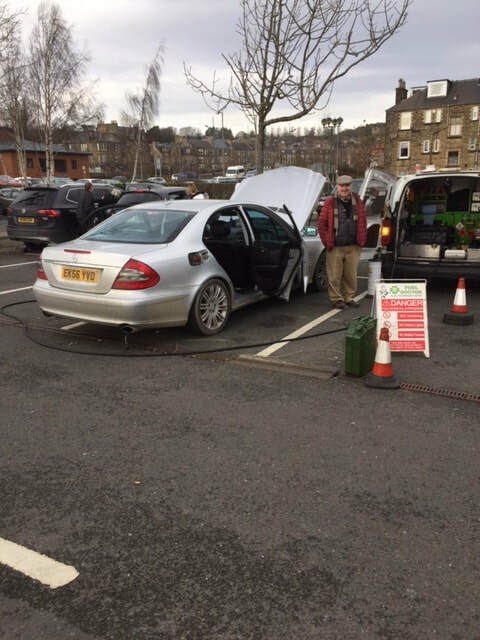 If you have put the wrong fuel in your car, be sure to call one of our qualified local engineers in the Edinburgh area. 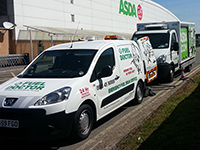 We have Fuel Doctors covering all the local areas in and around Edinburgh. If you live in any of the following areas we can be with you within the hour and the process can take anything from 15 minutes to 30 mins to get you back on the road again. John is always on hand to help the people of Edinburgh who have put the wrong fuel in their car. John loves spending time with his family and watching his favourite local football team. 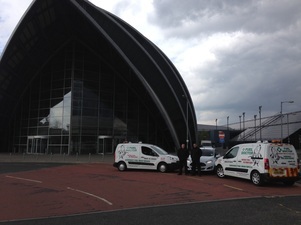 No matter where you are in the Edinburgh area, we have a Fuel Doctor near you. We will be with you within the hour and with you for around 15 minutes for the fuel drain. Don't panic, just call us. Everyday roughly 120 people will put the wrong fuel in their car in the Edinburgh area, whether its diesel in petrol or petrol in diesel. It's a very common mistake and easily done, we understand that you need us there fast and to get back on your feet to get on with you life. Everyday people in Edinburgh will put the wrong fuel in their car. 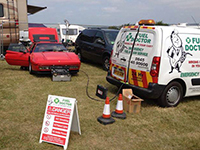 Those people will need a reliable full national company with the reliability that their vehicle will run OK after their car has had a mobile fuel drain. 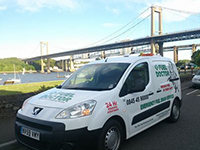 Fuel Doctors all have the relevant qualifications and training to make sure every mobile fuel drain is treated with the utmost care and attention. Edinburgh being the capital of Scotland has a dense population and therefore we see a lot more people putting the wrong fuel in their car around here than we do in say Dundee or Perth. 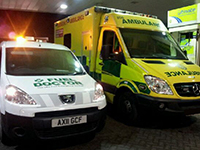 We have local resident Edinburgh Fuel Doctors on standby 24 hours a day 7 days a week to make sure you are covered. Here's a job Fuel Doctor Edinburgh did recently for the owner of a rather nice VW Transporter at the airport. The customer had a ​Full tank drain of petrol from his diesel fuel tank. We had him back on his way inside the hour.